With four meets remaining before the Division II Indoor National Championships, talented indoor track and field female athletes emerge as promising competitors to represent the Gators. 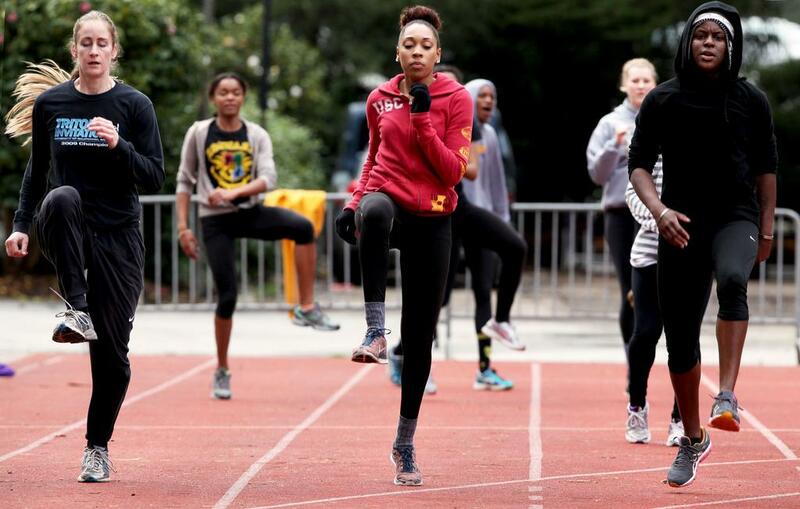 The SF State indoor track and field team are now ranked No. 4 in the NCAA Division II western region and 38th nationally, according to the poll released Feb. 4 by the U.S. Track and Field and Cross Country Coaches Association. Senior Tiana Wills automatically qualified for the NCAA Division II Indoor Championships with an impressive 5’ 10.75” mark in the high jump at the first indoor meet of the season, Jan. 18 in Seattle, Wash. Wills is currently ranked third in the nation in the high jump. Wills said she is disappointed with her performance in the two meets following her initial automatic qualifying high jump performance. With three meets under their sneakers this season, three fellow Gators have qualified for nationals by ranking in the top three of the region in their respective events: senior Maya Cabiness in the 200 meter and 60 meter high hurdles, senior Anna Lee McGregor in 400 meter and sophomore Ashley Black in the long jump and high jump. Black is a new member on the team this season after transferring to SF State as a sophomore from Fresno Pacific University. Black said her experience as a new Gator has been extremely rewarding thus far and is showcasing her strengths as the youngest of the provisional qualifiers for nationals. “I am training harder and working on what I need to focus on,” Black said of her efforts to earn a guaranteed spot next to Wills in March. For seniors Wills and McGregor, the indoor championships next month will mark the final competition of their SF State track and field collegiate careers. These two senior athletes hope to make lasting impressions as they complete their ultimate meets for SF State before pursuing very promising futures post-grad. The track and field team is now lacing up for the Husky Classic Feb. 14, hosted by the University of Washington in Seattle at the Dempsy Indoor Track.